A fish finder is something that any angler would love to have and use, whether they are an avid fisherman or only go fishing occasionally. Having a quality fish finder installed on a fishing boat can help an angler catch all the fish they want when spending time out on the water. If you are an angler who has made the decision to get a fish finder for your fishing boat installation instructions are a necessity. Below you will find a step-by-step guide on how to install a fish finder on your boat. The first step in learning how to install a fishfinder involves determining where to mount your transducer. 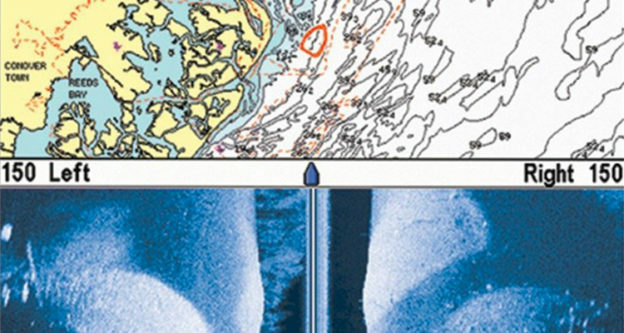 Determining the right location for the transducer is essential because of the wires used to complete the installation of the fish finder. Mounting the transducer on a spot on the hull that stays underwater is an ideal location. Contact with the water is essential for the functionality of the fish finder. It is also important to place it where the flow of water is not interrupted (this is very important for side imaging devices too). Once the location is determined, installing the transducer requires basic tools most people keep in their garage or tool box. 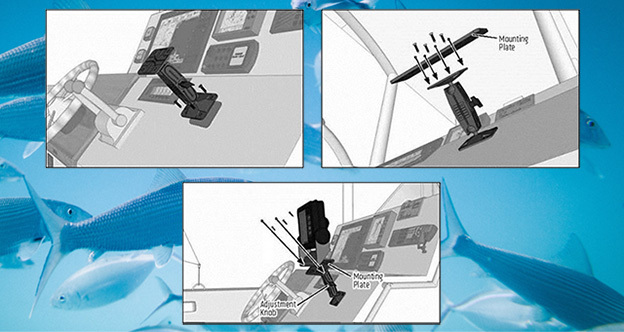 Once the transducer location is determined the next step in our how to install a fishfinder guide involves the wiring. If the wires are not installed properly, the fish finder will not receive the power needed to function. It is smart to check to see if the supplied wires are long enough to reach from the fuse block to the main unit. Ensure the wires will run from the fuse block, or battery area, to the main unit. Too much slack on the wires can cause sealant issues on the holes drilled. Once you determine where to run the wires, and where to secure any extra slack, you are ready for the next step. This part of the fish finder installation is relatively simple because you have already determined where you are going to install the transducer. The transducer can be installed directly on to your boat, which would require extra holes drilled into your boat, or it can be installed on a plastic block. If using a plastic block, adhere it to your boat using a quality glue or epoxy. Next, mark where you are going to drill the holes and attach your transducer. It is crucial you remember to use a silicone sealant on both the inside and outside of any holes made to prevent any water leakage. With your transducer installed next is the physical installation of the wires. The wires need to be securely attached to the fuse box, or power source, to your fish finder. As a reminder the black wire is negative and the red wire is positive. Secure the wires with clamps or ties approximately every 18 inches to keep them in place and unmoving. You are now ready for the next step. You are almost finished with the installation process! You have installed the transducer, run the wiring and determined where you will mount the fish finder. Mark the location for the holes needed prior to drilling the holes for the fish finder mount. Once in place, drill your holes and secure the mount. With that safely in place it is time to attach the fish finder. If your fish finder does not come with a separate mount, simply mark the screw holes for the fish finder and complete the installation. Once everything is installed properly you can turn on the fish finder to ensure it receives power. If that is a success take your boat out on the water and give it a real test by allowing it to locate the fish you desire. Learning how to install a depth finder or fish finder is not a difficult process. It does require time and focus. Now that you have officially finished reading our how to install a fishfinder guide you should feel more confident in the installation process. You understand the importance of the placement of the transducer with regards to contact with water, how to install it, and how running the wires properly are essential for the fish finder functioning as intended by the manufacturer. Always remember to seal any holes made when installing the transducer and test how the wires will be installed to ensure they are long enough for correct installation. Once the transducers, wiring, and the fish finder are all installed and the unit is working properly you will be able to take your boat out and have an easier time locating fish.